We are glad to announce that team Multidots has successfully delivered a mobile app ‘Mind of Leaders’, for our Swedish client. The app is designed and developed to cater to the critical though unseen needs of the leaders, globally. Today’s demanding world has elevated the stress levels amongst the professionals; which has adversely affected their efficiency and productivity. 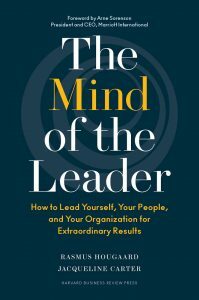 The Mind Of Leaders is built to drive the professionals, especially the leaders to lead a stress-free life and make the world a better habitat. The Mind of Leaders is a meditation and relaxation app that would assist the leaders, in keeping themselves relaxed and motivated. Mr. Rasmus in one of the recent book launch events, publicly acknowledged the efforts of Multidots project team, who worked along with Potential Partners’ technical and business teams to achieve the strict deadlines and could meet the laid quality standards. Multidots worked thoroughly on the designs based on the guidelines issued by the client. The app is designed in a manner to give it a tranquil look and feel. Stunning graphical views, review postings, 3rd party application integration, users friendly interface, audio download, time recorder, easy edits, display endorsements, weekly and monthly graphical charts of activities, goal setting, are some of key features that make the application most engaging. The highly skilled team of professional at Multidots facilitates the clients, to feel comfortable while describing the project and working with us. We provide unique solutions with impressive designs; and are capable of building applications – from scratch or to refurbish.